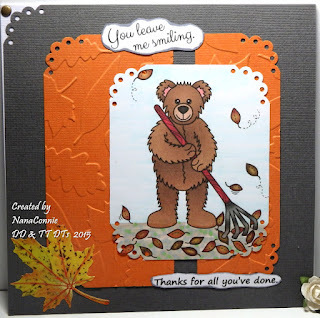 Tuesday Throwdown wants to see "thank you" cards since November seems to be the month of "thank you's" between Veterans Day on Wednesday and Thanksgiving a couple weeks later. Plus it never hurts to have "thank you" cards on hand because you just never know when you will need one. Faith and NanaConnie both made their "thank you" cards with a fall theme. Click on their names to learn more about their card. Hope you will come play with us for a chance to win a $15.00 gift code to the store.